Geographically diverse Nepal contains the world's highest mountains, subtropical forests and captivating cultures. 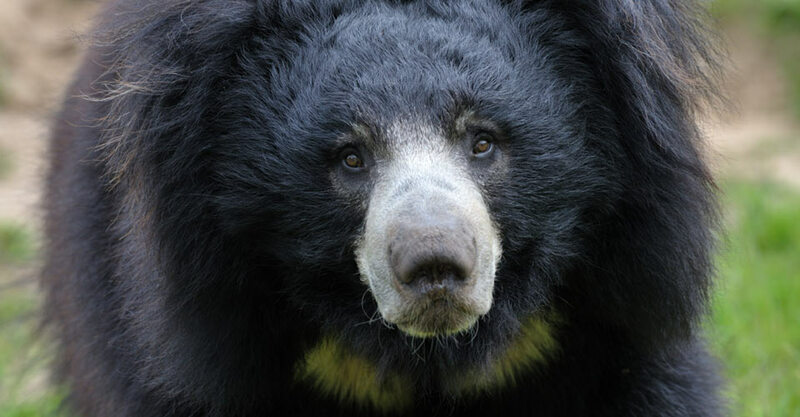 Safari drives reveal Nepal's rich wildlife as we search for sloth bears, leopards, rhinos and expertly camouflaged Bengal tigers that roam the jungle lowlands. Continue to the Kingdom of Bhutan where quality of life is measured in terms of Gross National Happiness rather than purely material measures. 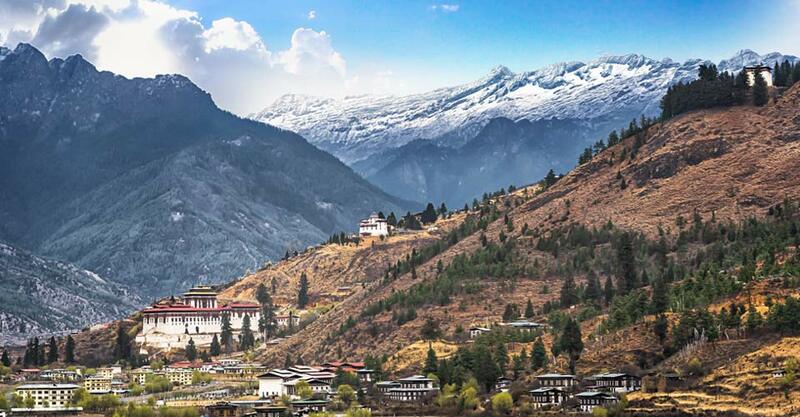 Though Bhutan is a tiny country, it is a global leader when it comes to environmental conservation and is proud to be not only carbon-neutral, but carbon-negative. Until recently, the “Land of the Thunder Dragon” remained in splendid isolation, dedicated to preserving its deep Buddhist traditions and pristine landscapes. 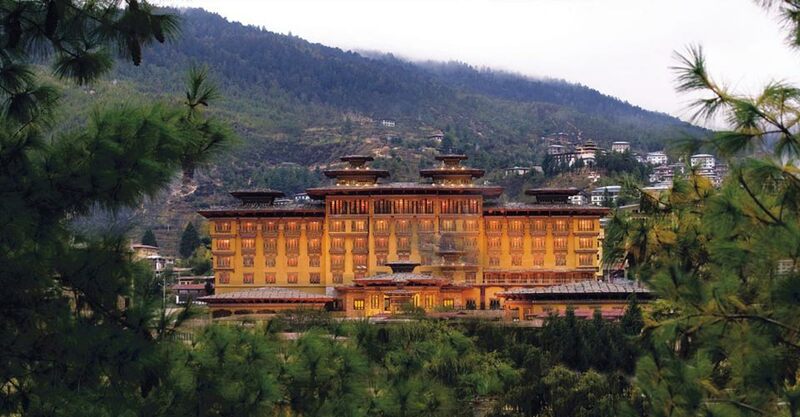 Visitor presence is still light, and a journey among ancient monasteries, Himalayan peaks, glacial rivers and peaceable villages reveals Bhutan's singular beauty. Our itinerary combines two countries and offers an unusual combination of Himalayan nature and culture rarely presented together as we do here. 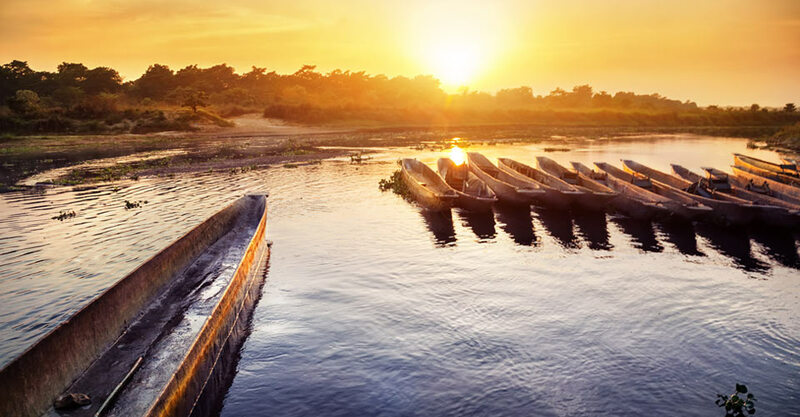 You'll search for native wildlife such as rare rhinos...and you'll experience each country's Buddhist and Hindu heritage expressed in rich architectural and religious sites. Nepal is known for its Himalayan heights, but its jungle lowlands—called the Terai—are where its most abundant wildlife resides. We stay at a remote luxury ecolodge ideally situated near Chitwan National Park, Nepal’s premier wildlife reserve. Our location near the park is where the best animal viewing occurs, and the lodge boasts high sightings of one-horned rhinoceros, crocodile and gharial. We may also see wild Asian elephant, leopard, sloth bear, wild boar, crocodile, sambar deer and monkeys—and, if we’re extremely lucky, the elusive Bengal tiger. While stunning mountainscapes and a rich heritage of Buddhist culture are arguably Bhutan’s greatest draws for the traveler, a visit to this wildlife reserve is a special highlight. 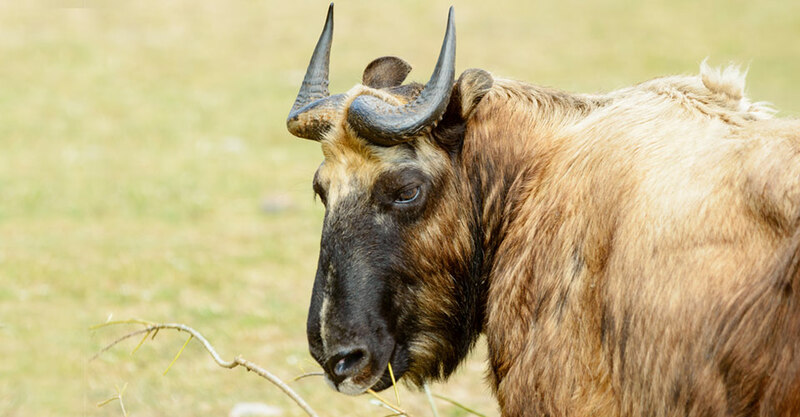 The takin, a large, shaggy ungulate related to the muskox, is Bhutan’s national animal, and we’re likely to enjoy close-up views of it here, where we may also see sambar and barking deer. In addition to the array of mammals we are likely to spot, Chitwan abounds in bird species—more than 500 are found in the vicinity of our lodge—and we’re likely to see plenty in Bhutan as well. 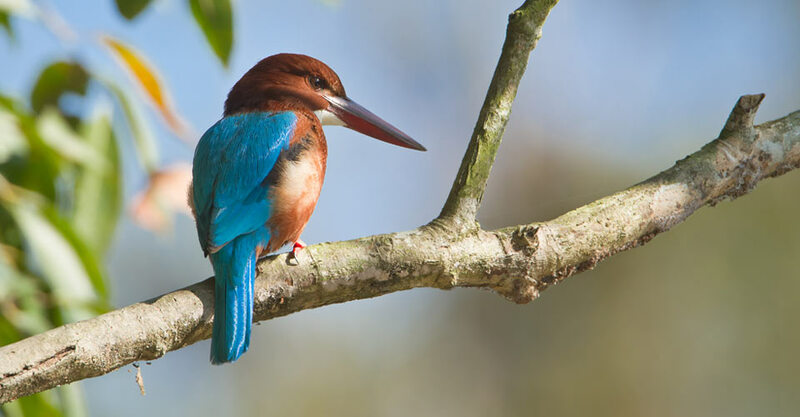 Even casual birdwatchers will enjoy the avian elements of this nature adventure. Bring your binoculars! 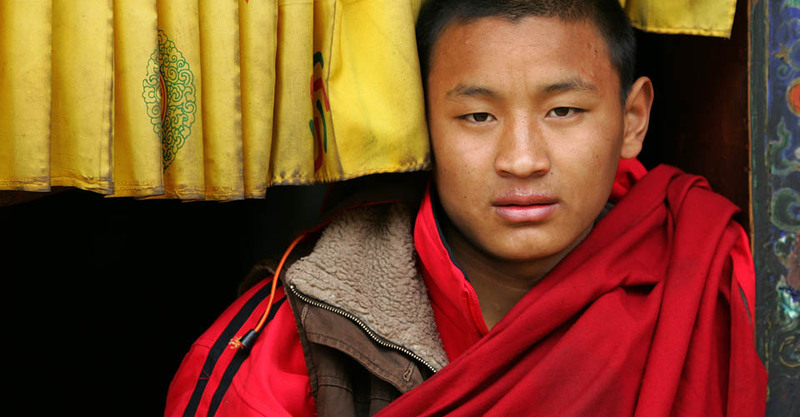 This unusual trip includes a collage of activities: wildlife drives, guided nature walks and canoe rides in the natural areas we visit, plus cultural experiences in Kathmandu and Bhutan’s tranquil cities and monasteries. If you’re the kind of traveler who finds everything interesting, this trip is for you! Because we know that nature and authentic cultural experiences are best enjoyed in smaller groups, this trip accommodates approximately 11 guests. Our small group size assures you of intimate wildlife encounters and personalized interaction with the people we will meet. At Nat Hab, we’ve developed a global reputation for the world’s best guides, because we know guides are the key to making a good trip truly great. 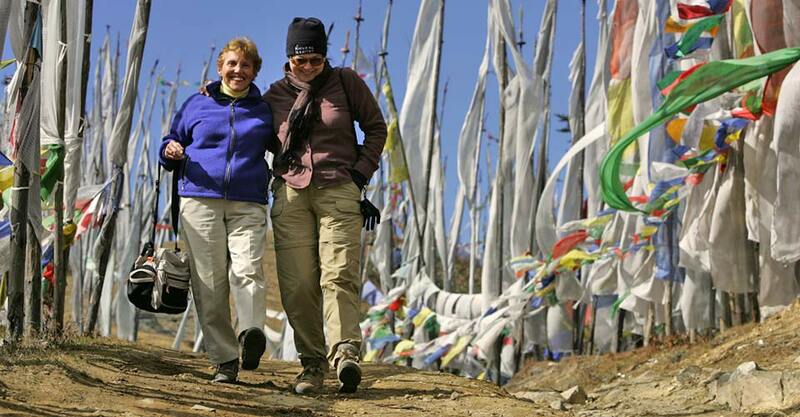 In Bhutan, our own Expedition Leader is paired with an outstanding local Bhutanese guide, ensuring the ideal complement of attentive personal service and insider insight. Our highly trained Expedition Leader oversees your trip from start to finish, while our knowledgeable local guides add in-depth understanding of local culture and wildlife. Our Expedition Leaders average 15 years of guiding experience—read our Expedition Leader bios and traveler comments regarding the quality of our leaders. With Natural Habitat Adventures, you receive our exclusive guarantee, which clearly states that we will meet the high expectations we set forth in our promotional materials. To our knowledge, this is the most ambitious guarantee made by any adventure travel company. Read our important promise for yourself! We all care about the planet, and you can travel with us knowing that the emissions from your trip are 100-percent carbon-offset. NHA is the world’s first carbon-neutral travel company, and we're continually aiming for new ways to raise the bar on sustainable practices in the field and at our home office in the U.S.